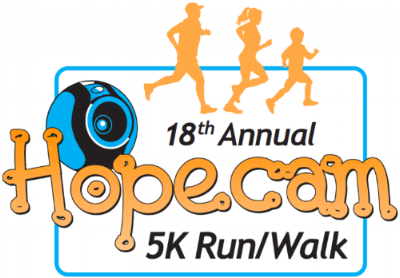 Hopecam's 5k is one of our largest annual fundraising events of the year and is critical to our ability to connect children with cancer to their friends and support systems. The average cost of connecting a child is about $1,000. 70% of the children helped by Hopecam attend Title 1 (low-income) schools, and 50% cannot afford internet access, which Hopecam provides. Hopecam helps children living in 47 states and abroad. Join our Team Competition or become a 5K Sponsor! We have some great teams signing up and awards for the largest team and top fundraiser. Sponsors are featured on our website, run materials and t-shirts for the race. Sign up to be a sponsor or register your team Today, by contacting info@hopecam.org.